McLeod Racing 75353 - McLeod Street Extreme Clutch Kit Mustang 5.0L; 2011-2014. STREET EXTREME. The Street Extreme clutch kit is ideal for both the street and the track. We recommend it for cars up to 700 crank hp/tq (depending on part number) with moderate engine mods and street tires. The kit is SFI approved. Included is a high clamp load pressure plate, a dual face ceramic disc for smooth engagement and awesome holding power. Our kits are complete. They come with pilot tool, throw out bearing (where applicable) and pressure plate bolts (where applicable). If you are looking for a street friendly yet track proven clutch, the McLeod Street Extreme is your best choice. 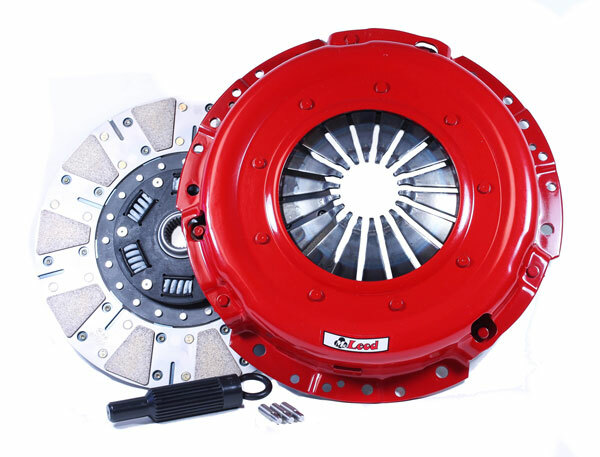 Horsepower Rating 700, Clutch Patterns 11" Mustang with Dowel Pin Holes 2005 to 2015, 11.00 X 1 x 23 Metric Spline.